I just bought a gopro hero7 and I've been trying to geotag my videos with little to no success, I've recorded gps data with a garmin etrex20 (configured to mark a track point every 5 seconds) and with my android phone (via an app, wich marks points every 2 seconds). The thing is, with the gpx file of both devices I get the error screen "Your video lenght is longer than the GPS track lenght", etc. when it's clearly (and visually) not the case, (also I always turn on both GPS devices BEFORE recording, and turn them off AFTER recording). Once I ignore that advertence and try to geotag with the gpx from the etrex20, it won't geotag the video, I just keep clicking on the geotag button and it won't work. It's not the case with the GPX file from the android app, it geotags itself but then it's everything misplaced, if I try to replay the geotagged video from the media browser, it will shoot me an error window reading "the lenght of the GPS log file does not appear to match the video's length." It's important to note that the video files have gotten their "creation time" changed. Don't know how to reverse that, since my gopro time and date are alright. I'm looking forward buying the linevision desktop software, but if I'm not able to at least geotag a video, I don't know what I'm supossed to do with the full version. 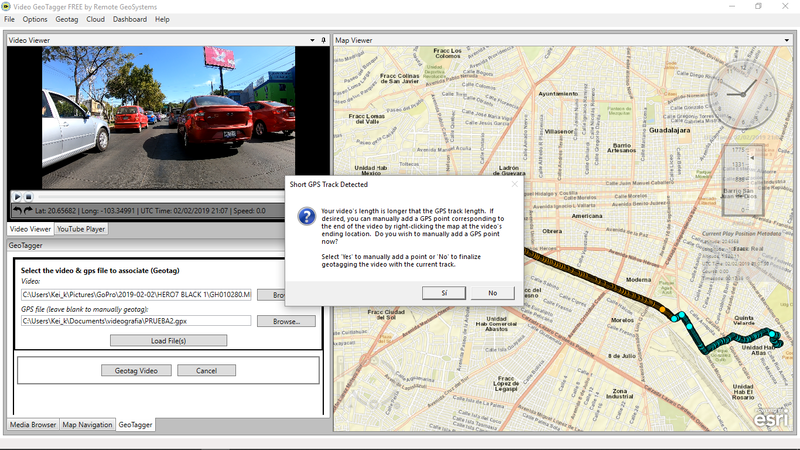 I'm desperate, help, I'm uploading the gpx of the android device since it has more track points. PS2: Sorry for my poor english! Sorry You are experiencing issues. It seems that there are some gaps in the GPS file which is causing these messages. We have had good luck with that app. 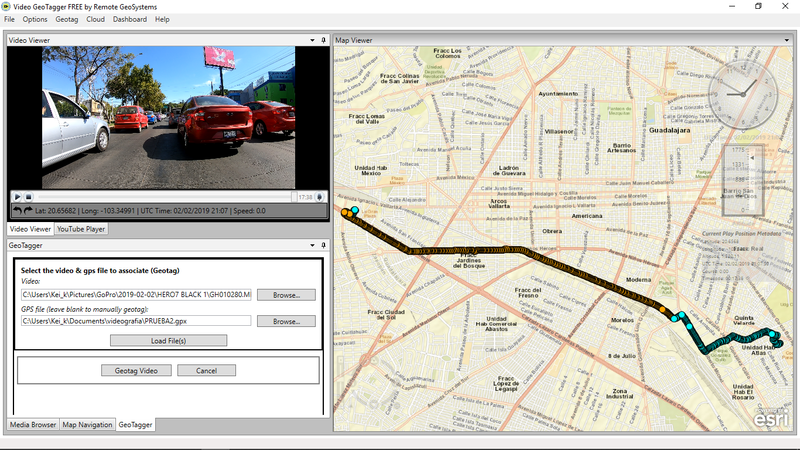 Also in our next release of LineVision Desktop and Video GeoTagger PRO we will be adding native playback for GoPro 5 and higher cameras with GPS logging. 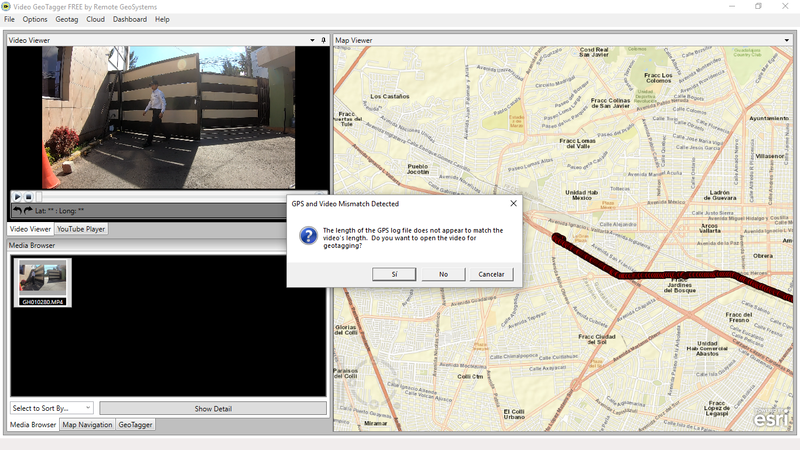 Our software will extract the GPS data when loading the video so you will not have to geotag the videos at all! Sounds great, any date for the new release?